Graduation Ceremony, Meditation, Activities, Dancing, and Celebration! Enjoy coming together with students and graduates of University of Metaphysical Sciences, even if you are not a student of UMS at this time. This retreat is open to all. This is an opportunity to meet other like minded souls who have been on the same path you have been on. Christine Breese is present throughout this retreat, offering meditations and talks. Enjoy evening activities, wonderful vegetarian food, and hikes in the beautiful Andes Mountains. There is also a graduation ceremony, dance and celebration. In the meetings, explore Group Energy Work in ways you have never experienced before. This is a time to celebrate your connection to University of Metaphysical Sciences and let your heart be joyful. Retreat for a little while and enjoy meeting your spiritual colleagues! This retreat is going to be larger than the amount of people we can house at Gaia Sagrada, so if you plan on being here and you want to sleep at the center, make your reservation early. The people who we cannot fit at the center must stay at hotels in Cuenca where they will eat breakfast. We will have our own bus services come up each day to facilitate transportation to and from the city. 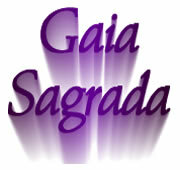 Retreat participants will stay for both lunch and dinner at Gaia Sagrada, and transportation will be provided back to the city after dinner, or after the evening session if we have evening activities on a particular day. Connecting With Like Minded Others - Connect with all in the world who are on a spiritual path like yours, awakening to their true nature as eternal being and link hearts with all who are in the world with the intention and desire for a beautiful, peaceful, and benevolent world. Looking at Accomplishments - Very seldom do we look back in time and take in the true energy of accomplishments and growth. Look at your spiritual path up to this point and observe the growth and expansion you have done all these years. Give yourself appreciation and approval for this accomplishment that contributes greatly to the mass consciousness healing of humanity. 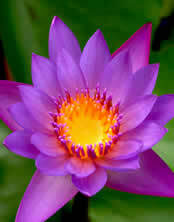 Healing Your Past - Take a look at the past and let go of any residual effects it has on you. Bring yourself fully into the present. Make peace with everything that has already happened and let it go as the dream that it was. Group energy work will also be presented in this meeting, where each person will take a turn to sit in the middle of the group to receive healing energy and release. Experience Yourself As Eternal & Divine Self - Experience who you really are in spirit and let this come forth into your daily life. You are divinity in the flesh, even with the human condition faults, and you can live your life from this perspective instead of that of the struggling human. Power of Now - As a group, use the now moment to heal, create and manifest that which you would like to see come into physical reality in your own life and in the world. Group consciousness is a force to be reckoned with. This is quite an adventure when a group operates as One Heart and One Mind. Connect With Your Future - Connect with your future students, your future life, and your future spiritual work. You are destined for something beautiful, so take a look and see what it is. Take a walk through your future and see what it looks like, and work with energy to make your own energy resonate more with this future that you are destined for. Experiencing Love - Truly walk into the energies of love and observe how these frequencies feel in your body, mind and emotions. Look at love as energy and observe how it works. Bring love fully into your life and into your heart. Learn how to transmit love to others by holding a healing space for them. Join With Masters - Join with the masters, angels and spirit beings who are all around the planet holding a space for humanity's ascension at this time. We all know something beautiful is about to unfold, and you are part of that, here for a reason. Join the gridwork with the angels and spirit helpers, and hold space for the healing and well-being of all on the planet, including yourself. Note: On some sunny days the afternoon meeting is moved to the evening slot (7 - 8:30 pm) in order to give participants an opportunity to hike, relax and enjoy the beautiful sunny afternoons that happen at Gaia Sagrada. It is not determined when these switches will take place as it depends on the weather on any given day. 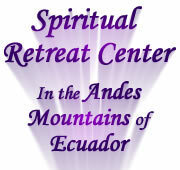 Retreat for a little while and enjoy meeting your spiritual colleagues!